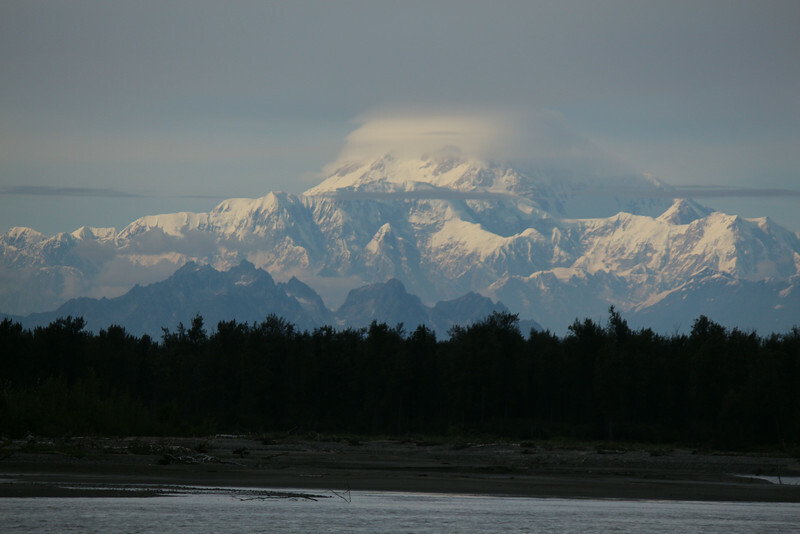 Mount Mckinley from Talkeetna, Alaska 400 miles away from Denali national park. Mount Mckinley is the highest peak of America and most prominent peak of the world. Half of it is hidden in clouds.